I finished planting my garden today with the exception of the heirloom tomatoes which are about ten days from being planted. I reworked the soil in my beds this past winter. 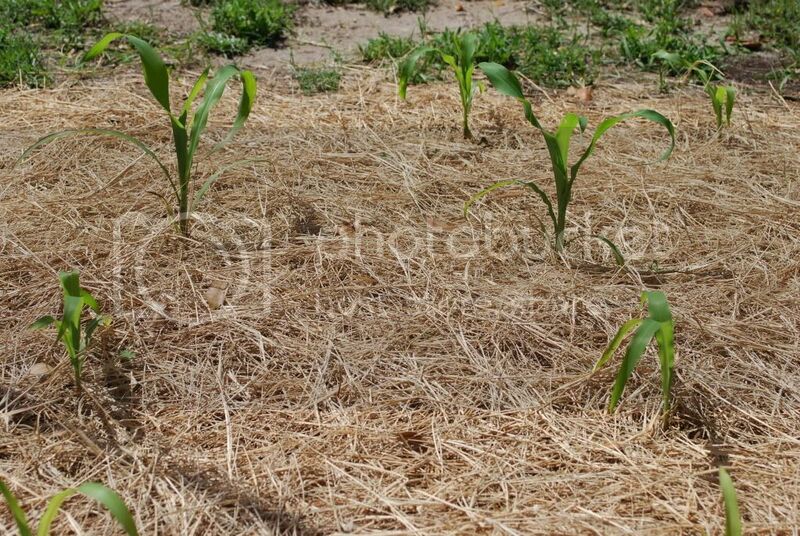 They now consist of about 50% soil and 50% composted sawdust and horse manure. I was concerned about putting so much sawdust in the soil because of the possibility of depleting nitrogen as the wood decomposed. The beds have a very active worm population and the plants that are growing are doing very well. This is the garden as it looks to me. Very small in other words. I will need to expand it for the fall garden or next springs garden. This is what one of the hoop beds I made from pvc pipe and tulle netting looks like. Very easy and very simple to make and it should keep the vine borers off my squash plants when they germinate and grow. The "Texas Super Sweet Onions" are doing well in the bed and should grow really large. This is my garlic which was planted last fall. Some of the leaves are 36" tall. This bed will also hold my Bell peppers, yard long green beans, and Prudens Purple heirloom tomatoes. This is my new bed which currently holds more onions, the hybrid tomatoes I planted today, and jalapeno peppers. It will also hold the heirloom tomatoes when I plant them. This is my cucumber bed/trellis. 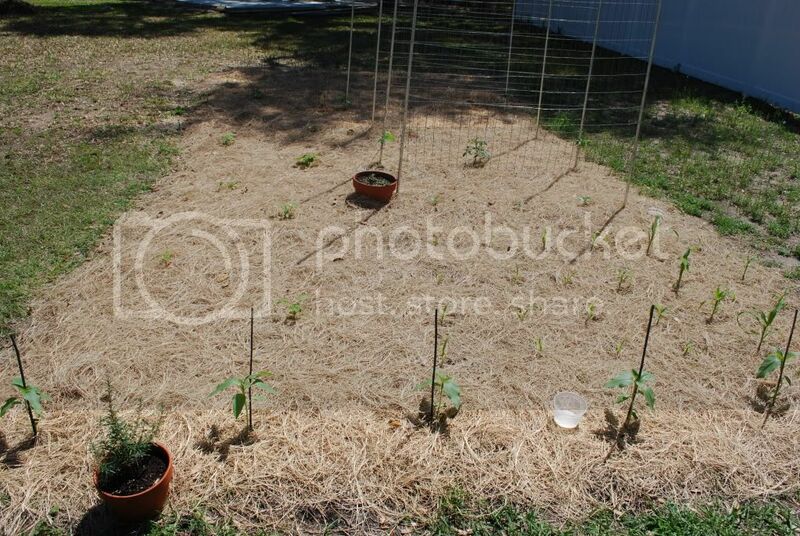 The cukes are planted, but haven't sprouted. You can see the Romaine lettuce I planted last fall, but didn't grow more than three inches all winter. In about two weeks, it is has grown to almost twelve inches tall. This is a miniature variety called "Little Ceaser". 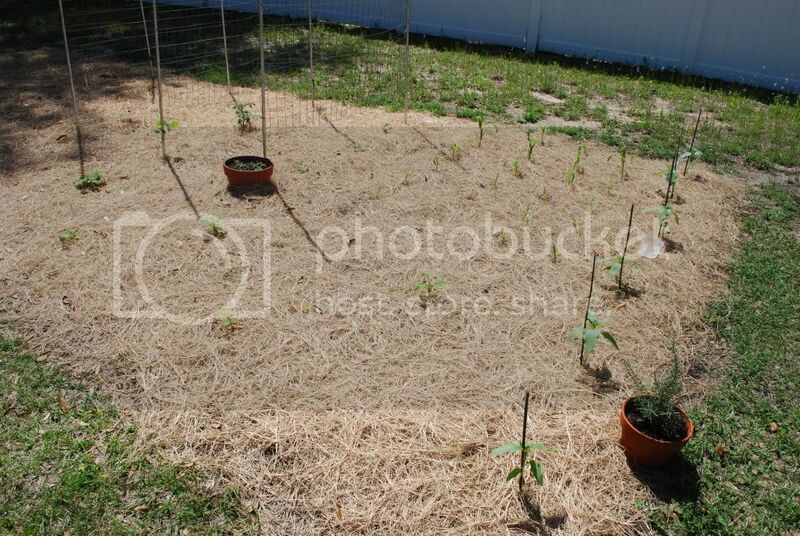 The opposite end of the bed has been planted with a full size variety, but the plants are tiny. Last edited by tedln on Sat Mar 27, 2010 12:50 am, edited 1 time in total. I really like the idea of the cuke trellis, but I have a question -- how do you harvest the lettuce in the middle? Do you crawl under the trellis? Maybe I don't have the scale correct because I thought you said before that the mesh is large enough for you to reach inside. (Trying to mentally adjust for 12" Romaines... ) Also, do you continue to grow things underneath after the cukes really get lush -- I'm supposing the fruits hang inside. I'm a big guy with long arms. I also cut some larger holes in the fencing in strategic points which allow me to reach both the lettuce and the hanging cucumbers. It really isn't a long reach to the center of the bed and it can be accessed from both sides. We will eat lettuce for a few months. The soil under the trellis will lay fallow during the hottest part of the summer and be replanted in the fall. The covering shade of the cucumbers is simply to dense for most plants to grow at that point. The midsummer heat, even in the shade; is also restrictive to growth of most plants. here's what my garden looks like!!!!!! not very impressive looking. yet. first year trying to grow vegetables so it consists of a limited variety and limited size. hope you enjoy. must be so nice living so far south with such a long growing season. I woke up with snow on the ground this morning. Ted, awesome looking. I love the hoop houses, great job on them. Thank you guys for sharing your pictures. I looooove watching garden photos. I can only wish I could start something right now, but reality - at least 2 more weeks for the early veggies, 27F tonight! Happy gardening and bountiful harvest to you! Lookin Good. You are way ahead of me. It is still snowing here. Not much in the garden here, the heat is on both here and in the seed starting area! No hoop houses up for early starts! I love your garden. It looks great. I especially like the hay mulch you are using. Are you watching those young squash pretty close? I am envious about the squash. They typically symbolize the beginning of harvest to me. I made a mistake with my yellow squash last spring and didn't check to see if any pollinators like bees were out yet. I lost a lot of my early season squash simply because I didn't hand pollinate it. 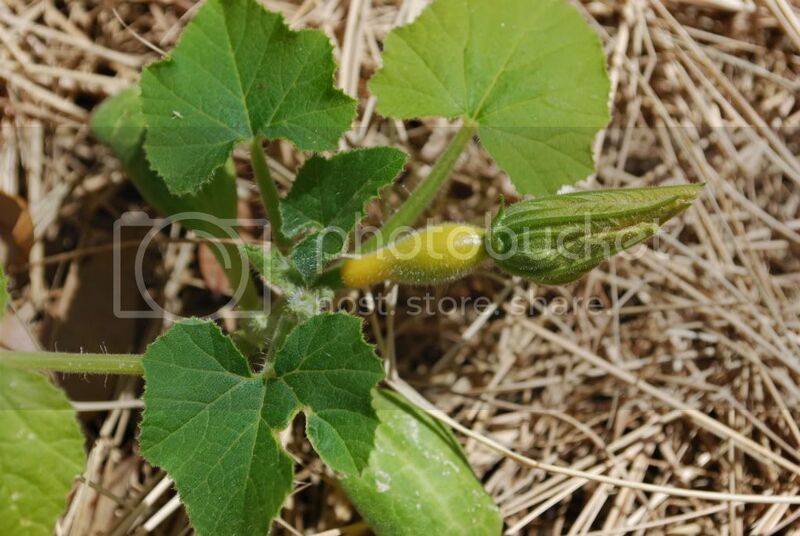 Remember the squash plants put the little squash on like yours before the bloom opens and pollination can occur. 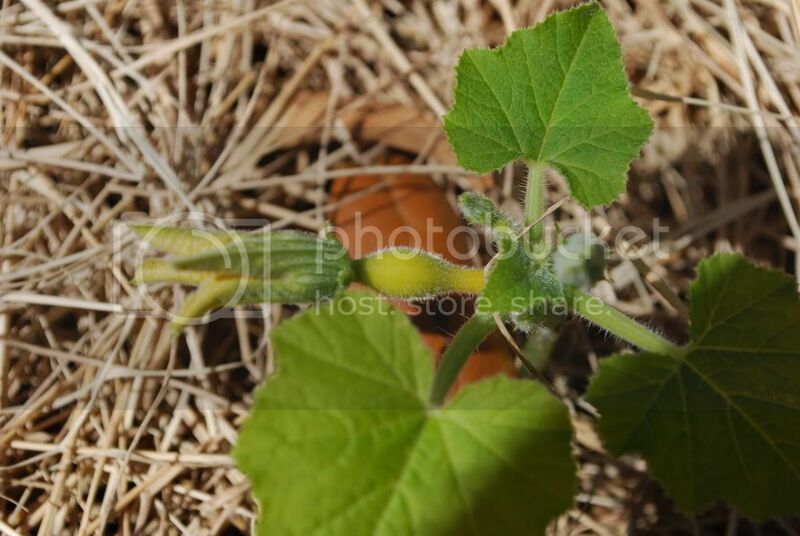 If it isn't pollinated, the little squash simply shrivels and drops from the vine. Thanks everyone, the fun has begun. jal_ut wrote: Lookin Good. You are way ahead of me. It is still snowing here. I had eight inches of snow last weekend. It had all melted by Saturday afternoon. We will get close to eighty degrees next week. Looking great Ted way ahead of me. It is still kinda cold here as well, supposed to be uper 70's middle of next week. Hopefully the stuff Ihave in the ground now will take off with more platned this weekend. Doing great bro plus you are giving the rest of us hope that winter may be behind us. ya i definately have been watching the squash closely, i like to check the garden a couple times a day because im anxious too see my plants growing. i grew the majority of plants i have from seeds so i have a special bond with them. lol. haven't seen many bees around lately but will definately hand pollinate if need be....plan to get some flowers in the garden too, to help attract bees and maybe repel some unwanted pests. i hope to keep everyone posted on the garden is doing throughout the season. im excited!! !